Today Waskaganish is a growing, vibrant community with a population of approximately 2300 people, celebrating their 350th Anniversary. Over the following 35 years since the signing of the James Bay Northern Quebec Agreement (JBNQA), the Cree Nation has continued to assert their rights and maintain a vibrant culture and society. 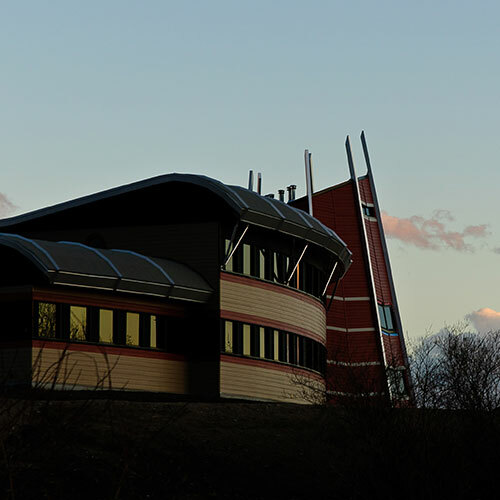 Although the implementation of the JBNQA was and continues to be a work in progress, Cree communities have flourished and are now a powerful economic and political force in the James Bay, Quebec and Canada. Born and raised in Waskaganish and on the land, Billy Diamond is a celebrated Cree leader that promoted and asserted Cree rights throughout his life. His impact on Aboriginal rights worldwide is undeniable having participated in the drafting of International Labour Office Convention 107, the Indigenous and Traibal Populations Convention which resulted in Convention 169 and ultimately the UN Declaration on the Rights of Indigenous Peoples. He created Air Creebec, Cree Construction Company Limited, and Cree Yamaha Motors propelling the Cree Nation as a powerful economic force. As the birthplace of the Fur Trade and as one of the oldest settlements in Canada, Waskaganish remains one of the most historically significant place from which a continent was built. 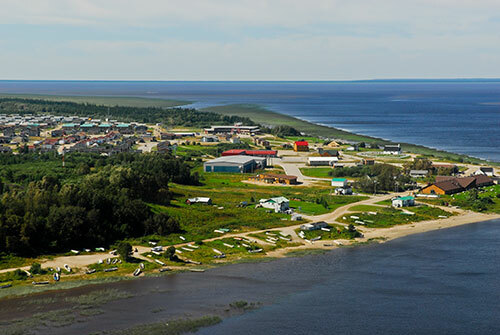 Today Waskaganish is a growing, vibrant community with an on-reserve population of approximately 2300 people. Cree is the dominant language spoken, although the younger generations are becoming fluent in English and French as well. Trapping remains an important contributor to the local economy as well as a source of cultural and spiritual values. Many consider the community and its territory as one of North-America’s premier destination for migratory birds. The region is well known for its waterways and prime fishing spots, hosting an annual canoe brigade every summer. As a contemporary and dynamic place, Waskaganish and its people look forward to a prosperous future firmly anchored in Cree values, traditions, history and spirituality while remaining open to the world at large.